Did Google just save Mac gaming? The Mountain View company never mentioned Apple during the reveal of its Stadia game streaming service at the Game Developers Conference yesterday, but Stadia sounds all but tailor-made for Mac users. A service that let you stream games from a remote server straight to your browser! The ability to play the latest games without needing to invest in fancy eGPUs, graphics cards, and yes—even PCs! Even in 2019, so much of this still sounds like science fiction. I love my Mac, but necessity compels me to keep a massive PC running at home so I can play graphically intensive games like The Division 2 or Devil May Cry 5 when they release. As we all know, many of these games never come to the Mac at all. If Stadia works as well as Google implies it will, I’ll never have to feel too guilty about using only a Mac for gaming ever again. Google itself would handle all the heavy lifting; all I would need is a browser. Google’s presentation yesterday left plenty of questions unanswered, but here’s what we know. Stadia is a platform that will let you stream games from Google’s servers to any device that runs the Chrome browser (although it may limit the devices at first). Google itself will house all the hardware, and it claims that hardware is better than what we find on both the PlayStation 4 and Xbox One. When the specs flashed the specs on screen yesterday, they resembled those of the Radeon RX Vega 56. 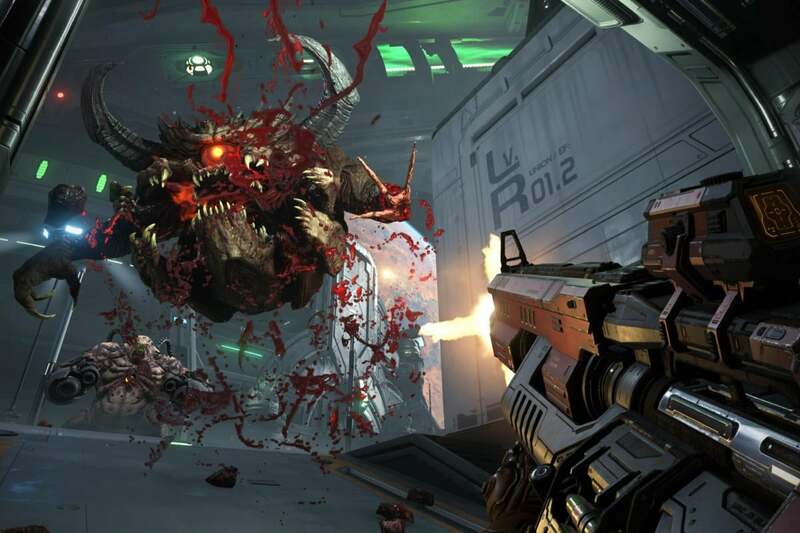 Supposedly Stadia works so well, in fact, that you’ll be able to stream a game as graphically intensive as Doom Eternal in 4K resolution at 60fps. Again, in a flippin’ browser. Ultimately, the only thing you’ll need to pay is your presumed Stadia fee (which is unknown at the moment) as well as your internet fee, although Google will sell its own controller. If all goes well, in other words, you won't need a setup like this to play a new big-budget game on a MacBook. In other words, not bad. 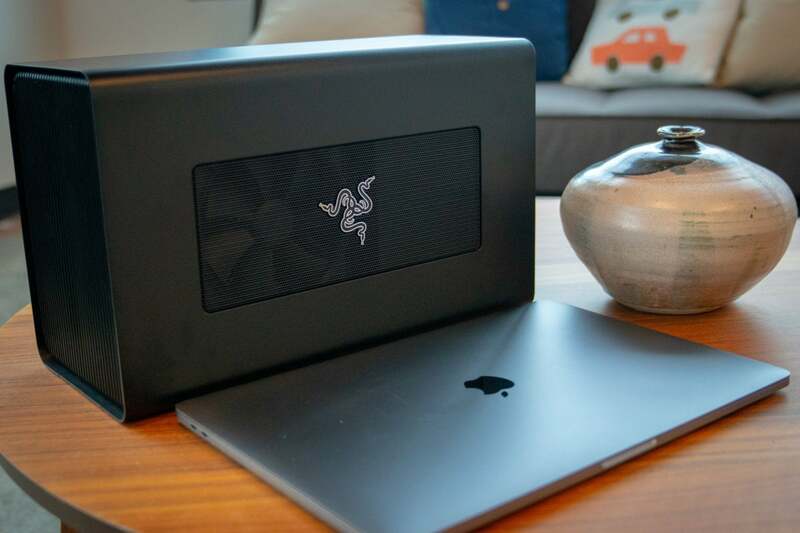 In still other words, this could change everything for Mac and iOS gamers who feel limited not only by the limitations of the operating systems but also by the Mac’s incompatibility with Nvidia cards and other PC gaming staples. If it works as well as described, it effectively tears down all the walls to Mac gaming we’ve dealt with for years. With a service like this, we wouldn’t even have to worry much if Apple started making its own processors for the Macs. And yes, it sounds a little too good to be true. That’s not so much Google’s fault as it is the fault of widespread U.S. infrastructure and data caps that aren’t designed for running games at 4K at 60fps. Even if you’re lucky enough to have an internet provider who doesn’t have data caps, you may be one the the many rural internet users who deals with download speeds that are barely faster than the cattle grazing outside. And that doesn’t even begin to touch on the questions of how well Stadia will work with Apple devices in particular. Yesterday I bombarded a Google representative with questions: Will we be able to use Stadia on both macOS and iOS? Will it work on Safari as well as Chrome? Will you be able to use Stadia with an MFi controller? The responses were evasive but not dismissive. "We aren’t disclosing specifics beyond what was shared in the keynote," the representative said. 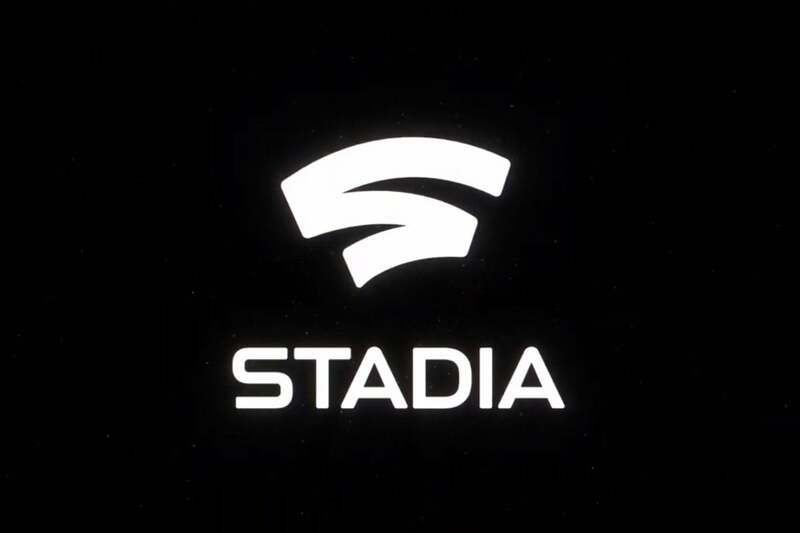 He repeated that Stadia will be coming to Chrome browsers, which are available on "many screens" ranging from TV and laptops to mobile devices and tablets. "What may be helpful is that we are launching on Pixel first, but that doesn’t preclude us from adding more phones down the line," he said. So the answer to all those questions looks like yes. Eventually. And I personally know we have good reason to be excited. Last year, I was one of the lucky folks who got to try out Google’s Project Stream—essentially the test run for Stadia—and so I played Assassin’s Creed Odyssey in my Chrome browser for free. I remember not being excited; after all, I’d used Nvidia’s similar GeForce Now service (which hosts the games on Steam’s servers) and I knew how much my home internet connection struggled with it. I fully expected the data stream in Project Stream to slow to a trickle before I even reached the loading screen. But that didn’t happen. In fact, right there in my Chrome browser—right there on my Mac—I saw Ubisoft’s vision of ancient Greece unfold on my screen in a way I hadn’t expected. I even hooked up a controller: It worked fine. For the first time in a long time, a new approach to technology was giving me the impression that I truly was looking at the future. So far, Doom Eternal is the only game that's been announced for Stadia. And I’m ready for it. I’ve long hated having to have both a PC and Mac in my apartment as I prefer the Mac for everything but gaming. I’d miss out on the excitement of building a PC—and it’s likely I’ll miss out on modding as well, as Stadia doesn’t look as though it can support it—but I’d almost certainly save a ton of cash and space. I’m really only concerned that Stadia is its own platform, which means you can’t just stream PC games to it as you can with GeForce Now. (And to be fair, that’s probably why Stadia works so well.) Developers, in other words, will need to design their games for it. At least at first, that’s liable to greatly limit the number of supported games. I mean, c’mon: Just look at the waits we have to endure before a game gets ported to Mac. Frankly, I don’t know why it wouldn’t come to iOS and macOS. I confess I’ve always admired Google as a services company, especially for its old ‘90s attitude that everything we need can be done through our browsers. It wanted to make us all a part of party, and that inclusiveness is recalled in its multicolored logo (which in part evokes Apple’s own rainbow logo from the ‘80s). A service like Stadia shows the power of the internet to bring us all together, and I often wish Google had stuck with that idea rather than trying to steer people toward its experiments with hardware as well. My 21st-century self knows, of course, that I should temper my optimism with the knowledge that Google will probably gleefully sell my data nearest advertisers. For right now, though, I’m happy to dream. Could we expect something from Apple? There’s a vague rumor of an Apple gaming subscription service on the wind, but as I’ve said elsewhere, Apple barely knows what to do with the streaming services you can already find on iOS. For that matter, Apple really shoots itself in the foot with games. The Mac is practically hostile to games, for one. As for MFi controllers, Apple bizarrely wouldn’t certify controllers that let you press on the thumbstick buttons for years, which effectively rendered some console ports unplayable. Happily, Apple loosened some of its guidelines with iOS 12, but it may be too late to catch up. So no, I doubt it. But I don’t really care. If Google manages to make Stadia work as good as it sounds, then I and many other Mac gamers will be able to have our cakes and eat them, too. As a bonus, if Stadia and similar services prove popular enough, maybe they’ll trigger some reform regarding the arbitrary and often outdated data caps many of us deal with every day.